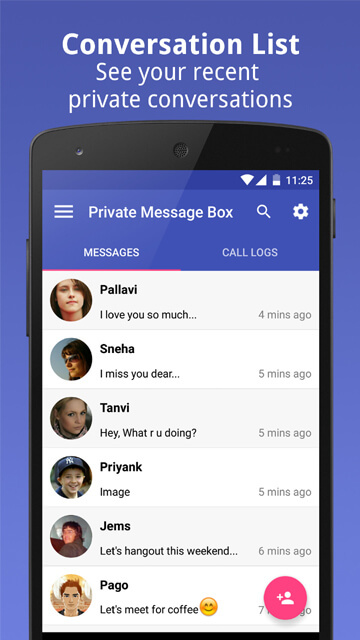 Private Message Box keeps secure all your SMS, MMS and Call-Logs of private contacts. You can hide your text from unauthorized access. Your privacy is our high priority objective. Nobody knows about your texts even if he has full access of device. 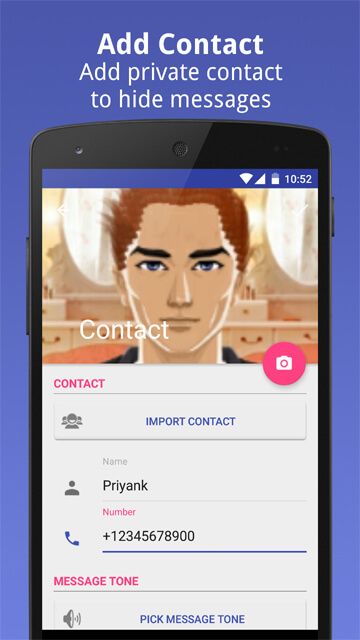 Block incoming calls from specific contacts. Hide app icon from app list. App cannot be seen or opened by other people. 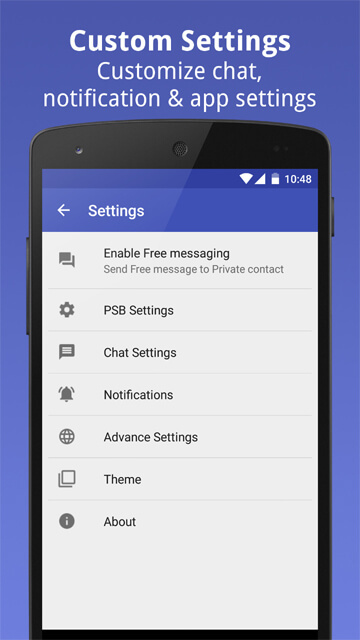 Provide customized notification icon, title and other settings. 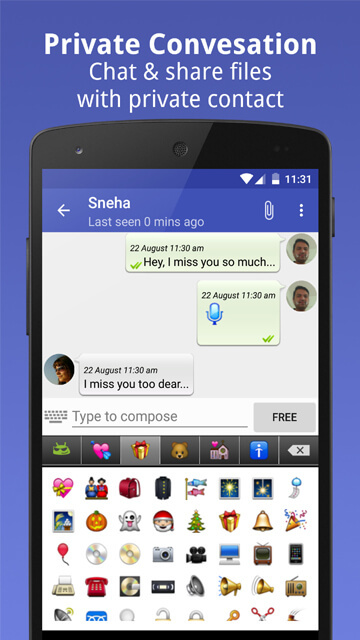 Takes auto backup of your messages every two day to prevent message lost. 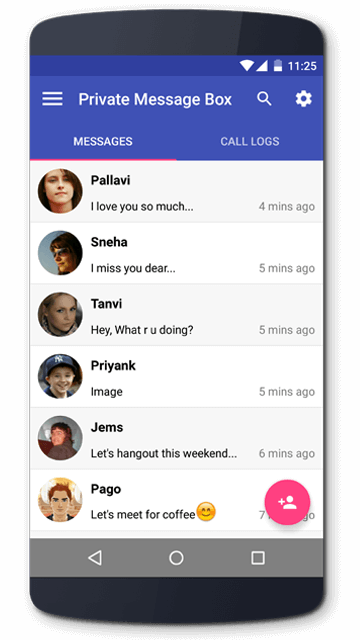 Send free text & multimedia messages between app users using wifi or mobile data. 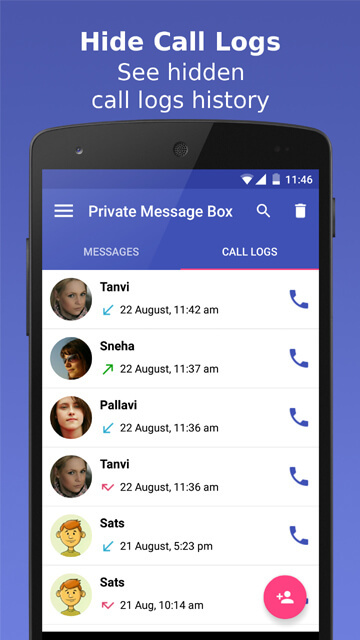 Hide call logs of your private contacts. 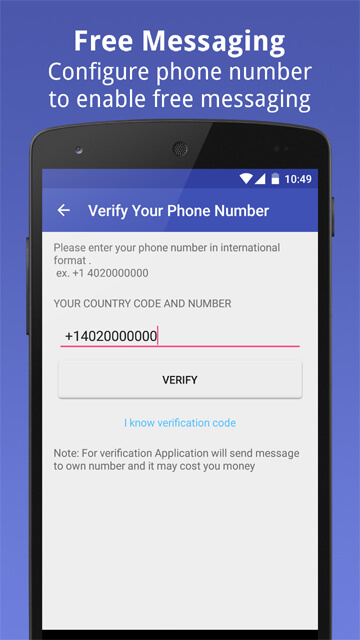 Hide your private SMS and multi media messages. Hide your private contacts and it’s conversation.